Happy Friday! Is anyone else as happy to welcome the weekend as I am? Maybe it's the beautiful weather that we've had lately, but this weekend seems like a great opportunity to go to the park, or walk around downtown, eat lunch at a sidewalk restaurant... and take pictures of your outing so you can scrapbook them! Today we're taking a look at Debbie's project, which is a beautiful photo plaque. Let's hear from Debbie! 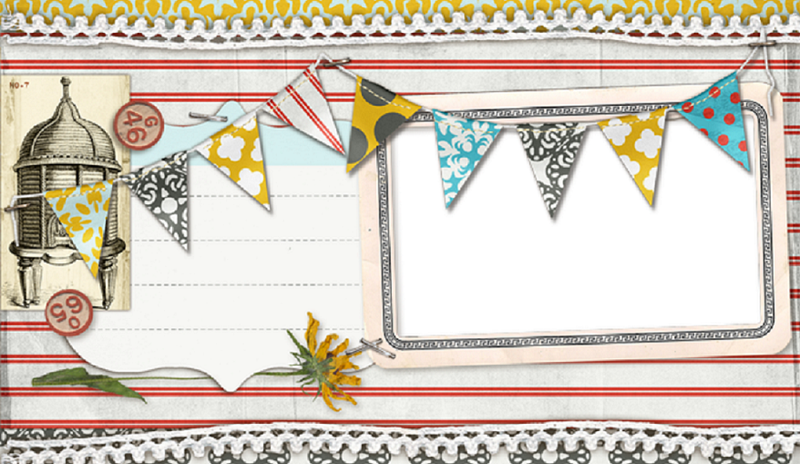 I used the new Genuine collection by Authentique for this month’s Embellishment project. 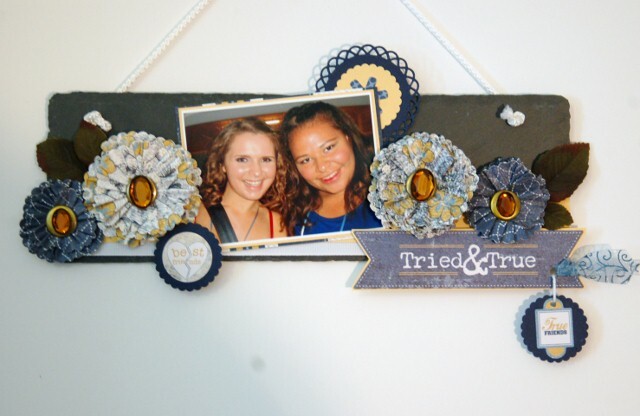 I found a slate plaque at Michael’s and used it as the base for a Friendship wall hanging featuring my daughter Katie and her college roommate Mina. To form a base for the embellishments, I wrapped a 2” wide piece of white grosgrain ribbon across the bottom of the slate and mounted a 1” wide piece of yellow Bazzill cardstock and then layered the matted photo, flowers and a few leaves on top. The “Tried and True” banner and other items are from the “Details” 12x12 sheet of cardstock stickers, borders, alphabet and other embellishments which coordinates with all the paper in the Genuine collection. This is an easy way to get everything you’ll need to make cards, pages and projects in a single sheet – and it’s a great value! Thanks, Debbie! I love this plaque, it would be fun as an Easter, Spring or Birthday Plaque as well! 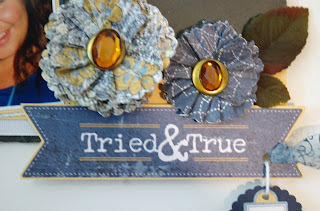 Check back in Monday for a Tutorial on how Debbie made those super cute flowers from her plaque!